The links provided below may help you get you in touch with other clubs and services that are useful to a vintage radio collector. Or they may lead you to that elusive bit of information that you have been hunting for years. Only a fraction of the possible organizations or groups are listed, but we are always on the lookout for others. If you know of or have a service or web site that deserves to be included, please e-mail webmaster@canadianvintageradio.com with the relevant details. Located Near Vancouver BC , the Sparc Radio Museum has many examples of Canadian radios. If you are in BC and haven't seen the museum it is well worth the time. The members are very helpful to us in providing information and have a wealth of knowledge at their disposal. The number and quality of materials they have on display is overwhelming thanks to many who have donated historic radios. Many of the members also spend countless hours restoring radios for display, and they also have a large inventory of parts and a restoration area to accomplish ongoing restorations. 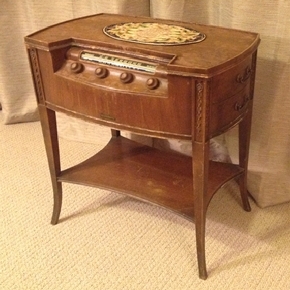 A virtual radio museum and antique radio catalog ... the most complete catalog of Old Time radios. It also includes crystal receivers, loop antennas, speakers, rectifiers, Hi-Fi amplifiers, record players, tape recorders, microphones, Old Time amateur gear, "boat anchors" etc. Based in New York, the Antique Wireless Association is an organization of some 2,000 members linked by a common interest in the history of electrical and electronic communications. AWA members come from all walks of life and our ranks include teenagers, octogenarians, and beyond in both directions. At one of our meets, you might find yourself shaking hands with a retired broadcast executive or military electronics specialist, an engineer in a high-tech electronics firm, or an eager young man looking for advice on restoring his first radio. Just Radios specialize in antique radio schematics, capacitors and resistors for old vintage tube radios. They carry antique radio schematic diagrams and electronic circuit service information for American, Canadian and European antique radios. The Northwest Vintage Radio Society is dedicated to the Preservation and Enjoyment of Vintage Radio and Wireless Equipment Serving the greater Portland, Oregon area. The Hammond Museum of Radio in Guelph Ontario is home to hundreds of receivers and transmitters dating from the spark era up to and including National's first solid state HRO500 While at the Hammond Museum of Radio Why not pick up a copy of Lloyd Swackhammer's fine book Radios of Canada. Renovated Radios has radio parts for sale. The site owner is located near Detroit Michigan and he has restored radios for sale as well as repro rubber grommets, gaskets, CRT masks, radio knobs, pushbuttons, clock radio knobs, CD's, etc. OVER 1,100 RADIOS SOLD IN 2011! 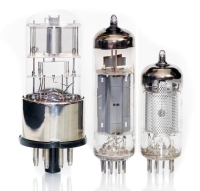 TUBE BAZAAR, a Canadian web site for TUBES and LAMPS for Collectors as well as Commercial, Industrial and Medical use. Vintage Radio was first developed in late 2003 as part of a campaign to boost the amount of Australian web content related to the hobby of collecting and restoring old valve radios. Meetings are normally held at the Cedar Valley Grange, 20526 - 52nd Avenue West, Lynnwood, WA. 11:30AM on the 3rd Sunday of each month, except 2nd Sunday June and December. Temperature controlled solder stations make do it yourself electronic repair quick and easy. Have all your repair needs at your fingertips with Circuit Specialists soldering stations. The AWASA aim is to facilitate, generate and maintain an interest in the location, acquisition, repair and use of yesterdays radio transmitters and receivers. To encourage all like minded amateurs to do the same thus ensuring the maintenance and preservation of our amateur heritage. Membership is by association and is free.